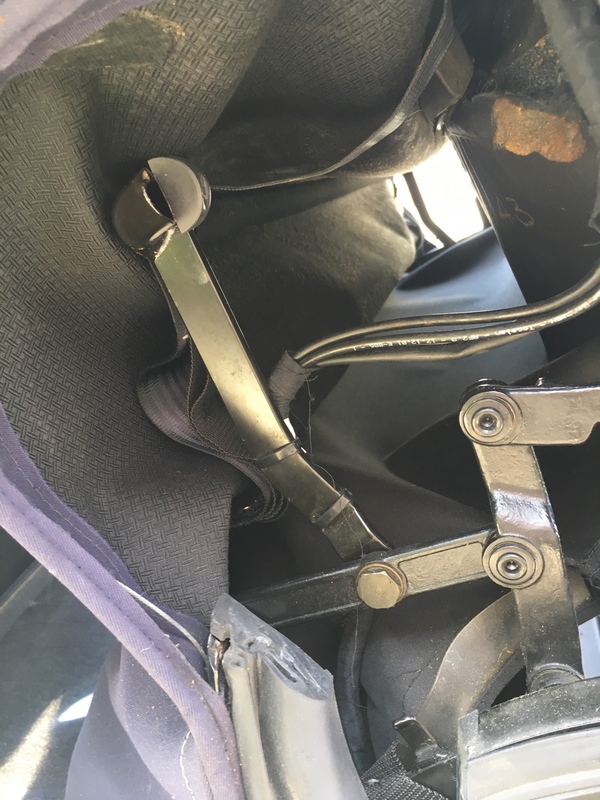 Try pushing the second spar towards the rear of the car, this usually works and if it does usually points to the elastic bands being worn out. I replaced mine, easy job and the hood is like a Swiss watch in operation now.. Ask me how I know? Just did this earlier today when mine wouldn't go all the way down! 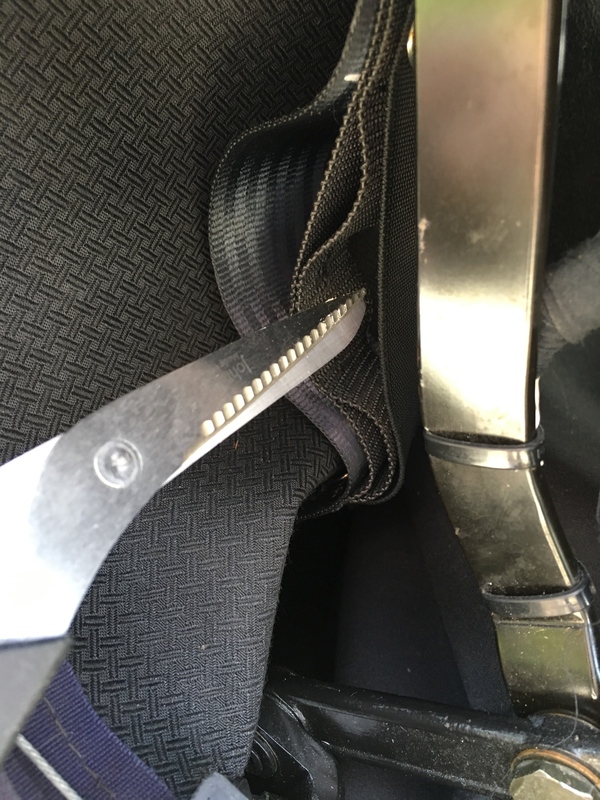 Have you tried the roof buttons in the storage box between the seats? In order to get my roof to close I have to reach up and give it a little push forward when the the front of the roof is directly over my head. If I don't do this the mechanism freezes and I have to put the roof back and start again. Not sure if this will help but it's worth a try. When I got to this point with my roof ie completely dead even after resets, it was because the roof fuse was blown. I think it is one of the ones in the boot rather than in the footwell, but I don’t have the manual with me right now. Worth a check before you drive yourself crazy. On one of the receipts that came with my Spyder Mcgrath had replaced a fuse that was stopping the hood operation. The fuses are in the battery hole and are the ones furthest forward, they are the large continental type. I have a follow up question about stuck roofs and the elastic webbing that is supposed to pull back the loose cross bar on opening the roof. I wondered if anyone can recommend a particular elastic webbing to replace the perished bands? I can see clearly now which bands need replacing and that they are perished. I want to make sure I get something with a similar amount of stretch and strength. There are plenty of options on eBay but a recommendation from someone who has found a good alternative would be very welcome. Thanks for that. I’ve got some elastic and velcro ordered now. Watch this video starting at 10:15 and tell us when your top stops working? Sounds like 10:32 to me. I’d say 10.22 in my case, just before it folds flat. The loose horizontal strut isn’t being pulled back and down by the elasticated bands, so fouls the upper/forward-most fixed strut. I have my new elastic now, if I fix it over the bank holiday I’ll try to take some pictures. I know it is a very easy fix, but for a novice like me it’s taken months of googling to understand what is going on. Some pictures may help someone else, given how common this apparently is. Be most helpful if you post some pictures. I fixed it this morning. Here are a few pictures. The roof would stick at around this point on opening. It would carry on a little more but would clearly be stuck against something. The problem is the cross bar connected to the bracket which is vertical in this picture. It pivots freely but is actually supposed to be pulled backwards during the opening procedure. In fact if you stop the roof opening at this point and push it back to this position by hand, the roof will probably open OK (just this once). 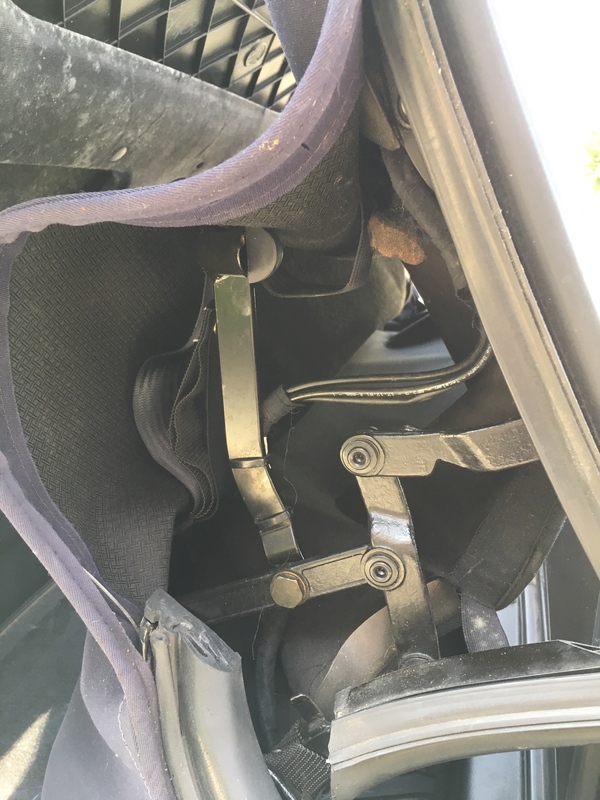 The bar is supposed to be pulled back by this piece of elastic, one on each side of the car. It’s the piece I’m touching with the scissors. This elastic perishes over time and doesn’t pull the bar back. I actually have three pieces, from previous repairs carried out before I owned the car. The piece that looks like a seatbelt, which I’m not touching, is a critical part of the roof and definitely must not be cut . Unfortunately, the last repairer didn’t sew on the new elastic, but riveted it on. This made it very awkward to remove the old pieces, which I did very carefully with a Stanley knife. I also had to cut away the original stitching. Ideally you would sew new elastic in place of the old. With the rivets in the way, I ended up cutting small slots in my new elastic strips and hooking them onto the rivets. Naturally in my excitement to take it for a test drive I forgot to take a picture but I’m sure you get the idea. 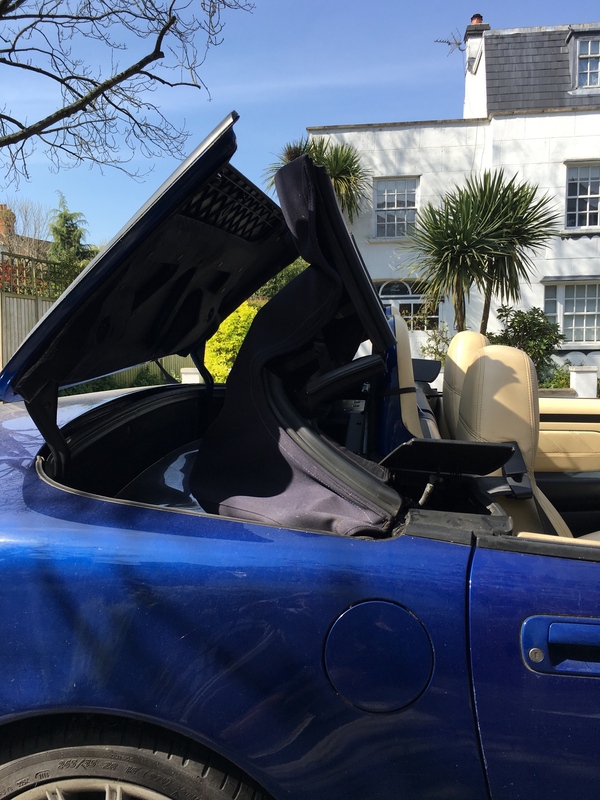 Hope this is useful to anyone struggling to work out where the elastic bands in a Spyder roof are and what needs replacing. 5cm was slightly too wide. Anything from about 3 cm would probably be fine. Thanks for that Gooner, most helpful. Fabulous post. Thankfully, haven't suffered any gremlins but most likely a matter of time. Another bookmarked thread to add to the collection. Many thanks.